Pattaya is always switched on and fun. This vibrant coastal city shot to fame in early 1980s, and stayed there. 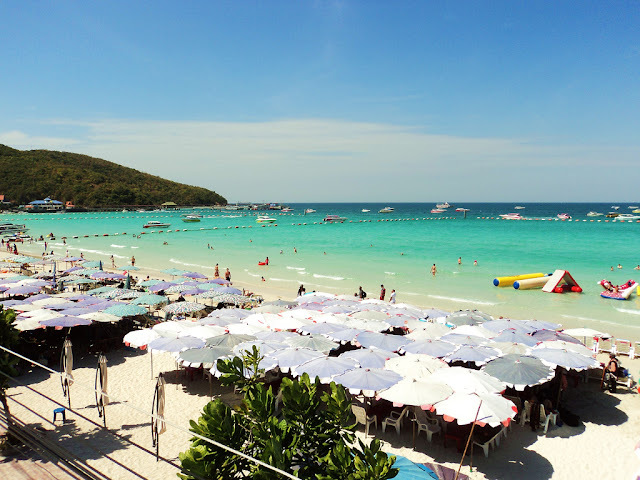 From sunrise to sunset, Pattaya’s beaches are constantly brimming with life, as water sports lovers and sun worshippers take to the waters. After dark, the action shifts to the streets, as revellers explore its electrified nightlife scene, where drinking and partying continue until dawn. 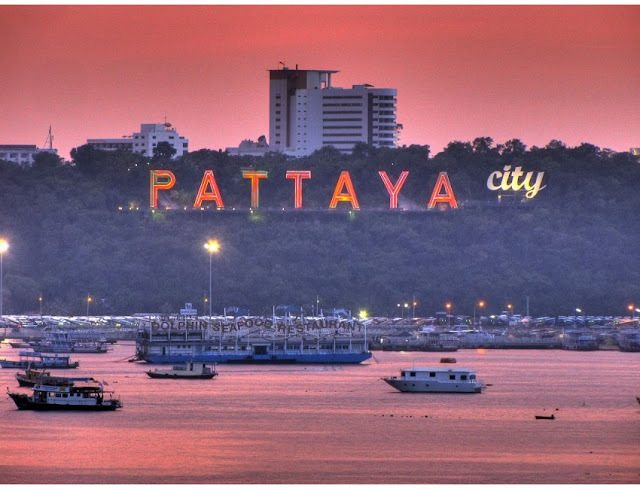 Apart from water sports and nightlife, Pattaya offers endless possibilities when it comes to accommodation and entertainment. 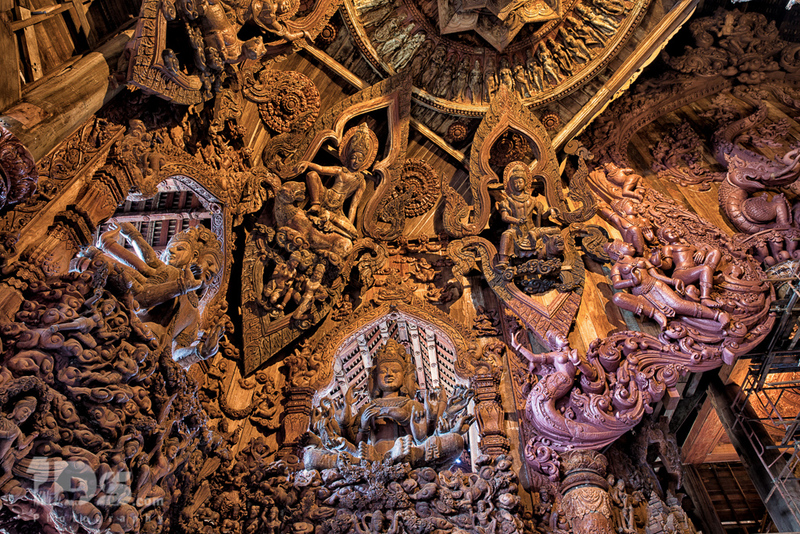 It has outgrown its image as a seedy beach town to a destination for a wider audience; whether couples, families or business travellers, Pattaya has something for everyone. 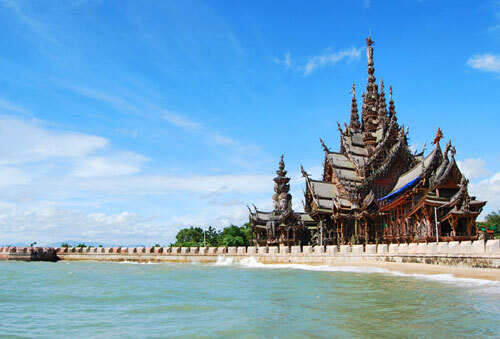 Only 147km from Bangkok, it is the closest of Thailand's major beach resorts to the capital city. 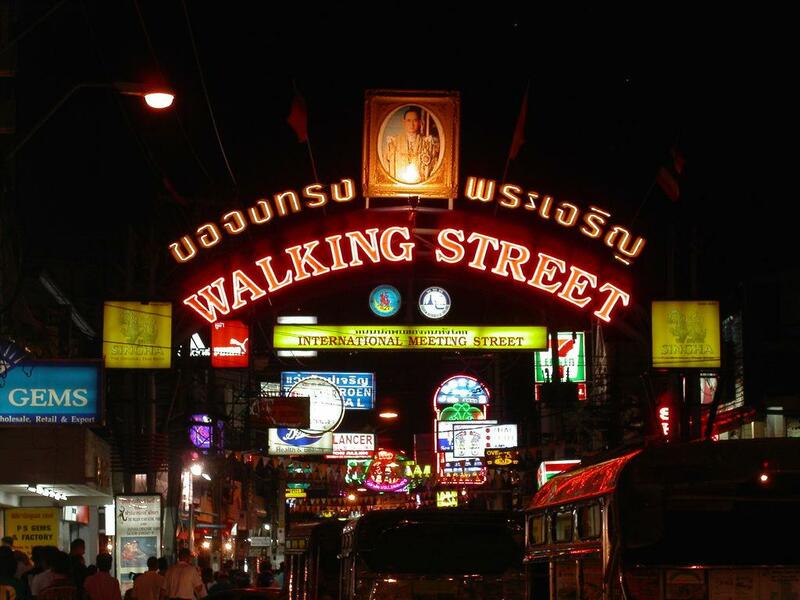 The sights and sounds of Walking Street are quite unlike anything else in Thailand. Other towns and cities try to claim to have their own version, but nothing comes close to matching the 500 metres of fun which is found at the end of Pattaya’s Beach Road. 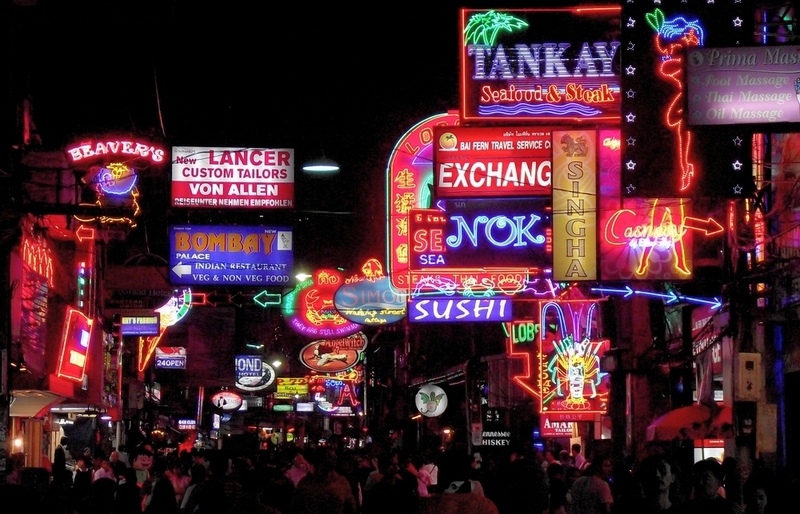 Taking its name from the fact that it is closed to vehicle traffic after 18:00, almost every building on both sides of the road – as well as many in the side streets around it – is a nightclub, beer bar, restaurant or go-go bar to the extent that the road is almost completely deserted during daylight hours as virtually everything is shut. 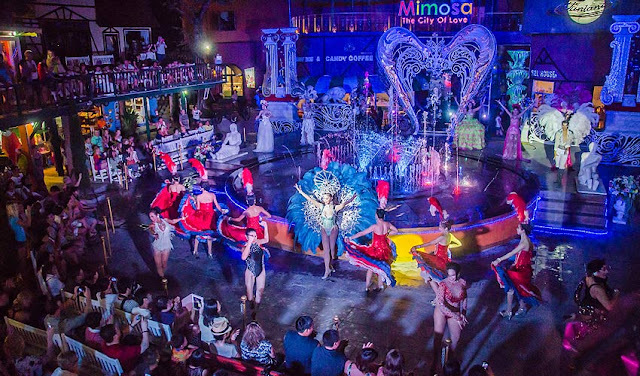 At night, however, the road comes alive with neon lights, thumping music from different genres, food vendors, street performances and party animals from around the world. 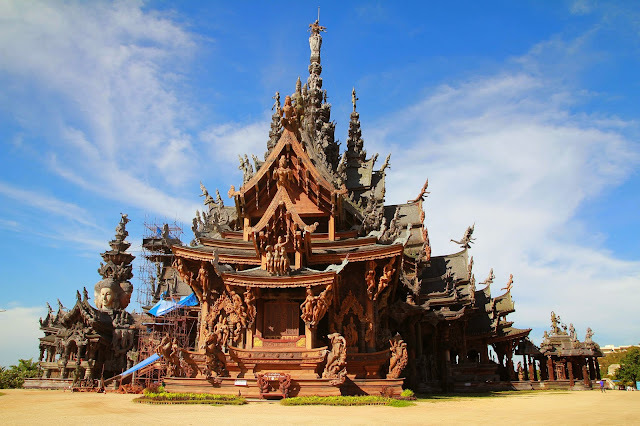 This one-of-a-kind teak structure is a truly awe-inspiring sanctuary to a philosophical truth, which tells of the importance religion, philosophy and art has played in human development and the folly of neglecting morality and spiritual contentment in the pursuit of materialism. It is a beautiful and humbling demonstration of human endeavour and skill, particularly when you realise that none of the wood being used has been treated or chemically protected. This means that, as one section is completed, another has succumbed to the tropical conditions and must be replaced. Mimosa Pattaya is a new attraction and shopping area not far from Pattaya city. 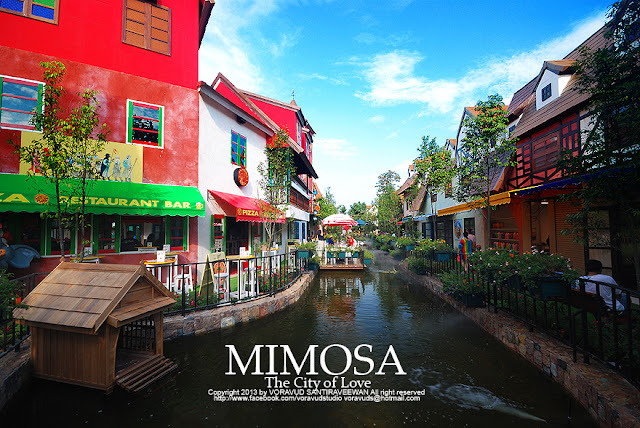 With its interesting architecture, Mimosa can deliver good atmosphere and spots for visitors to take photos. 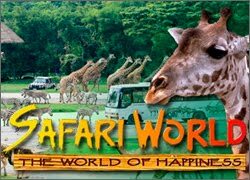 There are also massage shops cafe and several other relaxing spots, in other word, this place is another place for visitors who would like to enjoy an alternative atmosphere when coming to Pattaya city. The location of Mimosa is just opposite to Ambassador City JomtienHotel. 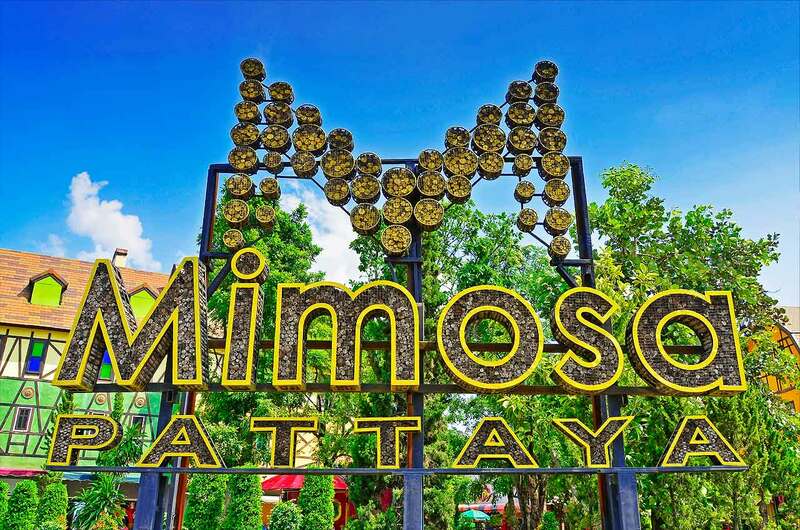 Mimosa Pattaya is located opposite to Ambassador City Jomtien, open from 11.00-23.00. Those whodrive from Pattaya can drive there via Sukhumvit Road. 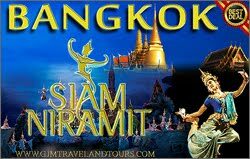 On the other hand, those who do not have a private car can go to Mimosa by White Songthaew, which is able to take at Sukhumvit Road in the city (by the way to Sattahip). 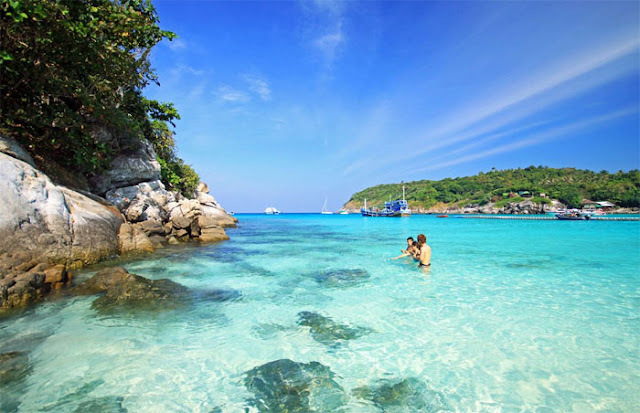 Only two hours from Bangkok, the beautiful beaches of Koh Larn - an idyllic island located just west of Pattaya - make a perfect day-trip. Known as Coral Island and covering an area of about 4 square kilometres, you spend the day swimming, snorkeling and sunbathing. 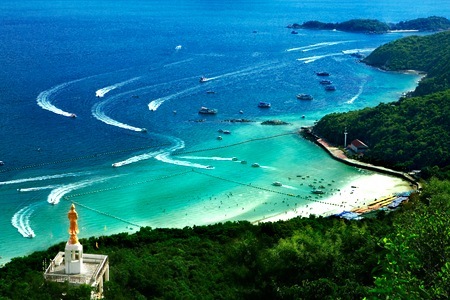 Enjoy the abundant coral and underwater world, Price includestravel to and from Pattaya, transfer by boat to Koh Larn and Thai lunch. 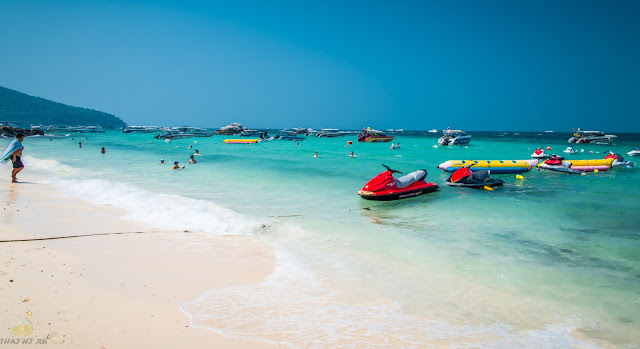 Only 45 minutes boat ride west of Pattaya, the idyllic beaches of Koh Larn (Coral Island) offer a change of pace from the upbeat dynamism of Pattaya beaches and make a perfect day-trip. 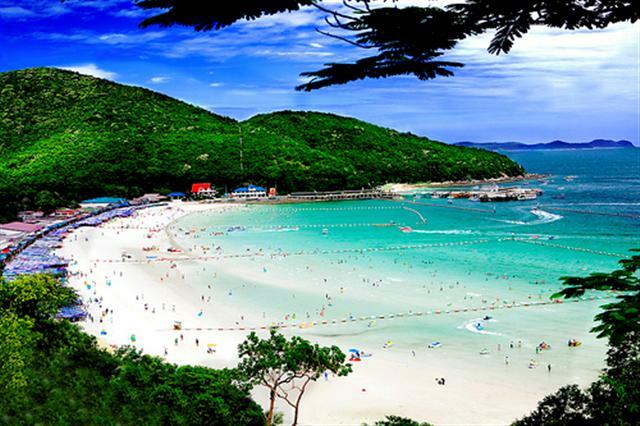 This former sleepy fishing village boasts translucent blue waters, brimming with an abundance of coral and marine life. Relax on the fine white sand, get that perfect sun tan or plunge in for a swim. 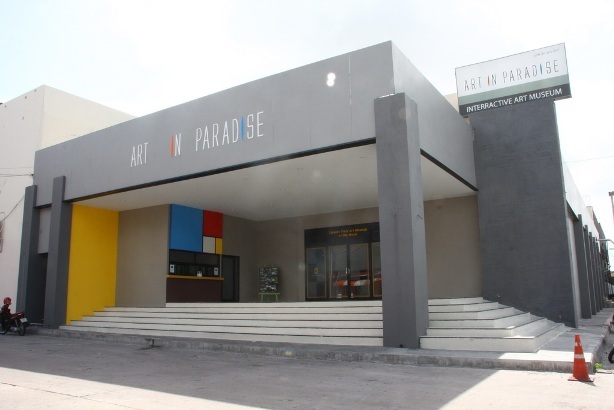 Art in Paradise takes the traditional assumptions of what an art gallery should be and completely ignores them. Instead, the art is brought to life and the visitors can become part of it through the use of optical illusions and playing with perspective. 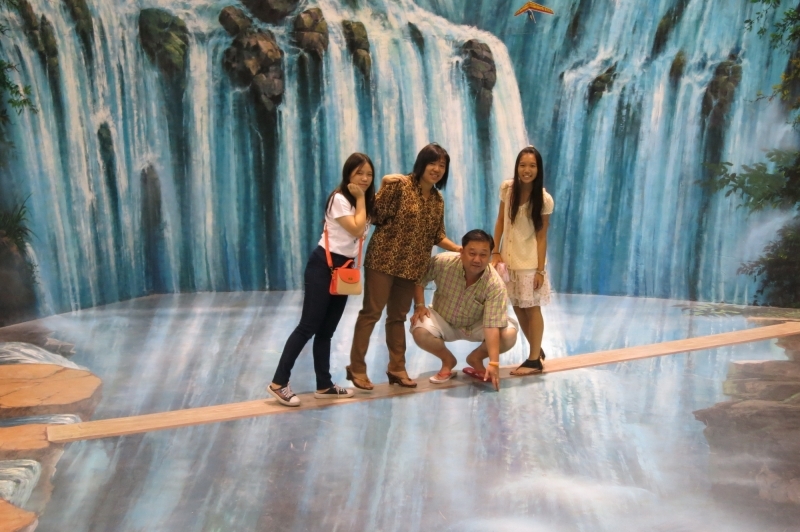 Stand in the right position and take a picture from the right angle – all of which are clearly marked out for you – and it looks like you are flying a magic carpet in the desert, crossing a rickety bridge in the jungle, swimming with dolphins in the ocean or putting the finishing touches to famous masterpieces.